Buy online Macon Latte 3/8 in. Thick x 5 in. 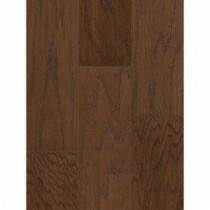 Wide x Random Length Engineered Hardwood Flooring (19.72 sq. ft. / case) DH03300874 and leave review or share with Your friends. Macon Engineered Oak Flooring showcases five oak colors with a naturally random variation providing a distinct visual range from planks with extreme character, graining and color. Extreme variation should be expected and it is imperative to mix planks from different boxes for a uniquely beautiful floor. This flooring can be installed on all levels for added versatility. This Shaw Hardwood is eco-friendly and the dense inner layer provides superior moisture resistances. Macon is protected by Shaw's DuraShield finish. 19.72 sq. ft. per case and case weight: 32 lb.